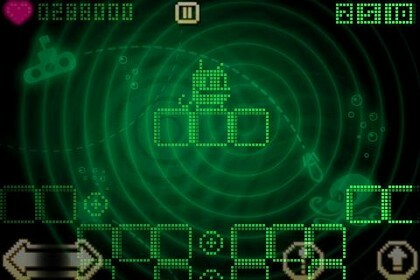 For many gamers, the iPhone is the first mobile platform with videogames that are actually worth playing. The gadget’s winning combination of touchscreen and motion controls means games can be much more intuitive and fun than if you were trying to play with a regular phone’s tiny keypad. We’ve built upon our previous Top 10 list, including an entirely new wave of games to replace those that just didn’t stack up in the rapidly evolving and expanding App Store. 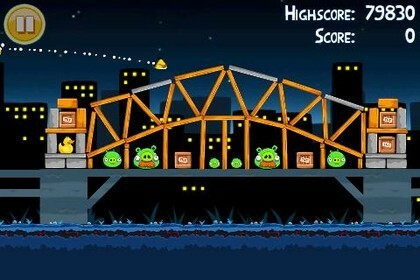 The moral of Angry Birds is that if you’re a hungry pig, don’t steal eggs from crazed birds with a death-wish, who also happen to own a massive catapult. If you’re one of the 17 people who’ve not yet sampled this artillery classic, you fling angry birds at ramshackle structures, aiming to dispatch the pigs lurking within. Ingenious level design and varied bird ‘powers’ make this a classic iOS game. 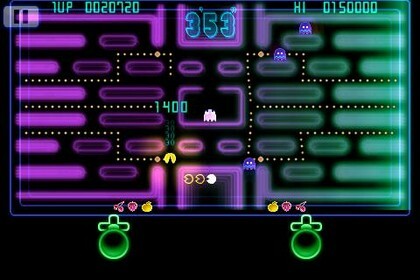 When Pac-Man creator Tōru Iwatani returned to his yellow hero in 2007, the result was the astonishing Pac-Man Championship Edition, which turned a tired (if still amusing) arcade game into a high-octane and brilliant Xbox Live Arcade title. The iPhone release retains the game’s addictive qualities, but adds a ton of extra content. 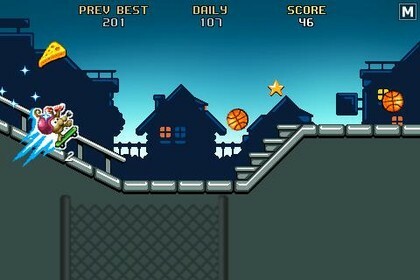 Here’s hoping semi-sequel DX arrives on the iPhone, too. Yo-ho-ho! This be the classic game ye scurvy dogs have been waiting for! 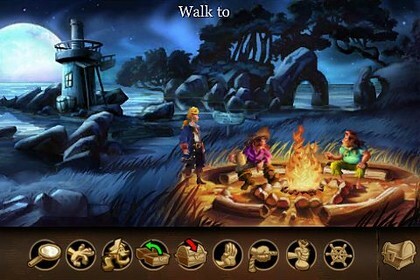 A classic point-and-click adventure from way back in 1991, Monkey Island 2: LeChuck’s Revenge has been dusted off, turned into a ‘Special Edition’ (new graphics and audio, hints system, updated controls), and fashioned into a thing o’ beauty. 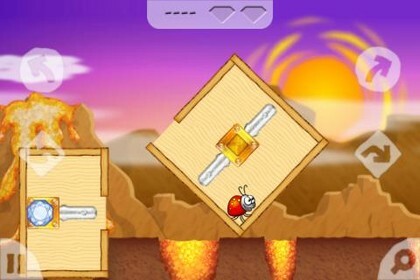 Beyond Ynth is a puzzle-oriented platform game which tasks a bug with collecting gems to bring back light to his kingdom. Each level comprises a number of ‘boxes’ that must be entered and correctly rotated in order to proceed; grabbing gems requires some serious puzzle-solving abilities, and one wrong move often means death by lava, ice or fire. The third outing for Donut Games mascot Ratty sees him ditching his uncool scooter and instead getting all ‘gnarly’ and ‘rad’ doing various skateboard tricks. Gameplay-wise, Rat On A Skateboard is ultimately another one-thumb survival game with a few twists, but its various modes and great character make it an essential purchase. Older gamers may remember Super Sprint in the arcades, Super Cars on the Amiga, or the original NES Micro Machines by Codemasters. LilRacerz Pro Rally is a top-down racer. And it’s just as much fun as those classic titles (and for £1.19! ), and boasts 34 tracks, ten unlockable cars, and four different environments. The controls are great – the cars drift but there’s some weight to them – and the subtle 3D graphics are a nice touch. 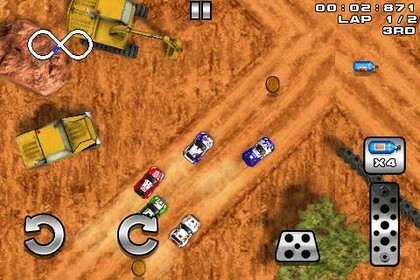 Firemint never got the “there are no games with any depth on iOS” memo, and so they went ahead and created Real Racing. 48 cars, 12 tracks, five game modes with 76 events, multiplayer, several control methods, different cockpit views… like hell the iPhone isn’t a ‘proper’ games console. If you go down to the woods today, you’re sure of a big surprise: it’s infested with ravenous ‘furries’! To survive, you merely have your wits, trusty weapons and the means of temporarily transforming into an unstoppable beast-like killing machine. 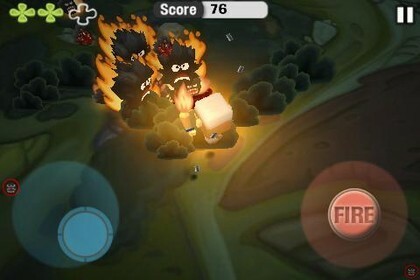 Minigore is dual-stick Robotron-style action with modern cartoon graphics and a dollop of gore. It’s also excellent. Firemint kick-started the path-drawing genre, and Flight Control remains the best game of its type. 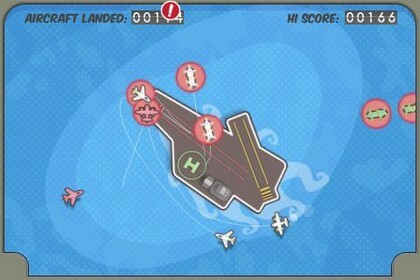 You guide aircraft to landing areas by drawing paths, taking care to avoid the single collision that ends the game. For extra challenge, try the navy level with a lazily rotating aircraft carrier and super-fast jets. Here’s platform gaming for the low-attention-span generation. Doffing its hat to WarioWare, Pix’N Love Rush flings retro-platforming action at you at a blistering pace, switching between Mario-style horizontal scrolling, vertical levels, and static Bubble Bobble-oriented affairs. Dressed in Nintendo-style graphics, this is a frantic, exciting game that’s an insane bargain at 59p.